Mohanlal’s Odiyan is arguably one of the most anticipated movies in South India. The movie has an unique theme, which has rarely been experimented in Indian cinema. It is a fantasy film that will have a mix of action, romance and magical realism. Odiyan marks the debut directorial of renowned ad filmmaker VA Shrikumar Menon and is written by National award winner Harikrishnan. Mohanlal’s own production house Aashirvad Cinemas is funding this big budget venture. Interestingly, the makers have registered the movie’s story in the famous Writers Guild of America. 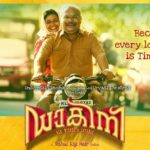 Odiyan is most probably the first Malayalam movie to be registered there. With this, the makers have ensured that nobody copies the story without their permission as they will then be liable for legal proceedings. 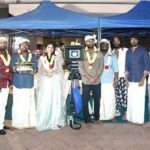 Watch: Pranav Mohanlal perform stunts in making of ‘Aadhi’ video !! These Images are Says Shobhana was How Beautiful….